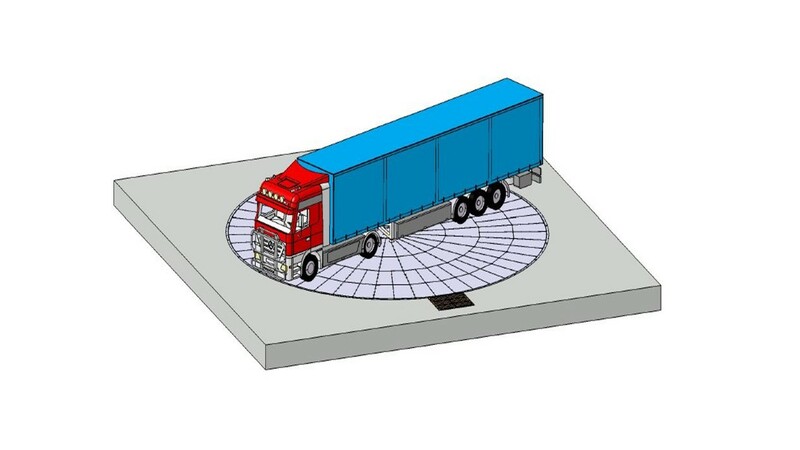 The Swiss-Park TT15 truck turntable facilitates the loading and unloading of trucks in confined spaces, e.g. 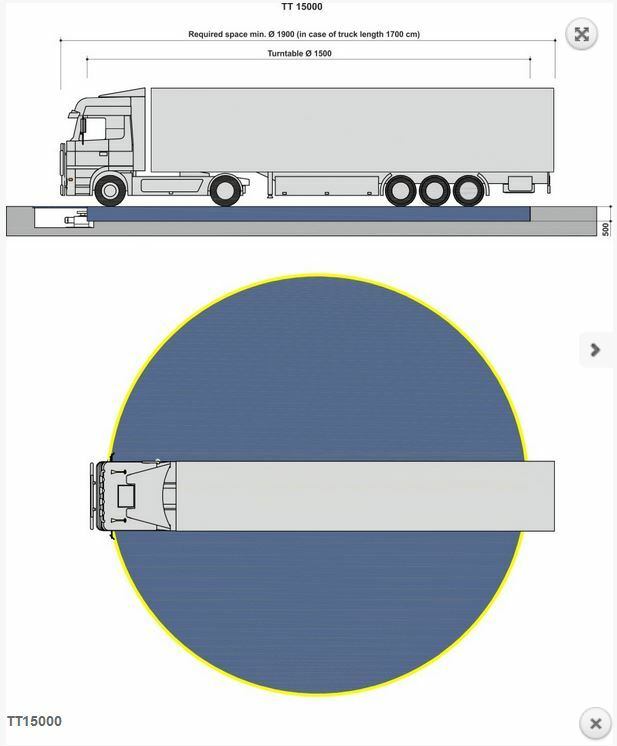 when supplying department stores in city centers where the truck cannot be turned. The turntable can be rotated to any position neither clockwise nor counter-clockwise.